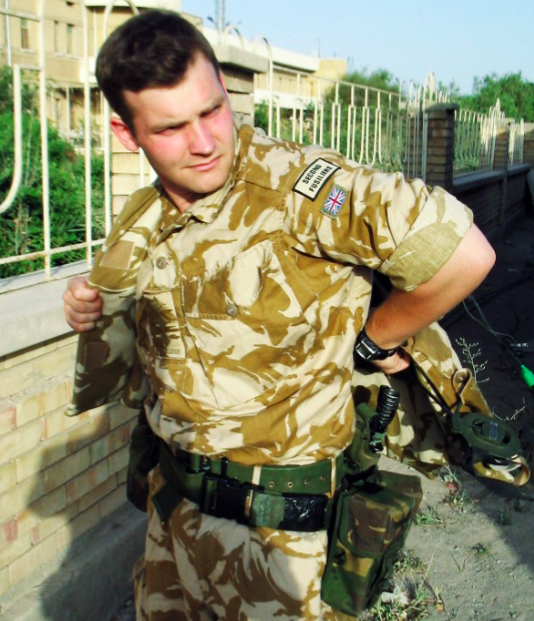 Richard Charles Lawrence was Captain and Operations Officer of Taskforce Helmand in Afghanistan at the height of the conflict with the Taliban. His ability to successfully solve complex problems was often the difference between life and death on the battlefield. The problem-solving techniques used in this ever changing high-pressure environment translate entirely through to business and Richard now delivers energetic, thought provoking yet humorous talks focused on Management & Leadership, Resilience & Discipline, Dealing with Pressure Under Fire, Planning & Innovation and Culture & Ethos. Richard Charles Lawrence was Captain and Operations Officer of Taskforce Helmand in Afghanistan at the height of the conflict with the Taliban. His ability to successfully solve complex problems was often the difference between life and death on the battlefield. The problem-solving techniques used in this ever-changing high-pressure environment translate entirely through to business and Richard now delivers energetic, thought-provoking yet humorous talks focused on Management & Leadership, Resilience & Discipline, Dealing with Pressure Under Fire, Planning & Innovation and Culture & Ethos. Richard followed his military career with a Masters Degree in Philosophy, became a qualified hypnotherapist, an award-winning salesman in the pharmaceutical industry and also became the UK Chief instructor for the martial art called ‘Keysi’ which you will have seen in the fight scenes in James Bond, Batman Dark Knight and Jack Reacher movies. Richard’s book, ‘Awakening The Warrior’, is available to purchase on Amazon. Richard is in demand as an inspiring and thought-provoking trainer and speaker who can shape his speaking engagements and team building events to suit your requirements, with topics ranging from how to cope with pressure and be more robust in mind, body and emotions through to being more effective in leading and thinking.